Whether you call them Math Centers or Math Stations, you’ll find loads of resources on this page for implementing them. I use the terms interchangeably, and they are more of a concept than an actual location in the classroom. In fact, math stations are often nothing more than a packet of hands-on materials with a set of directions. If you think math stations have to include elaborate and cute display boards, stop right there! Sure, you can make them elaborate and cute if you enjoy doing so and have the time, but math stations can be simple and easy-to-implement, too. The methods described on this page work well with the “middle grades” of 2 through 6. Enjoy the featured math station resources on this page, including a free webinar recording that provides an overview of how to use math stations in the upper elementary classroom. 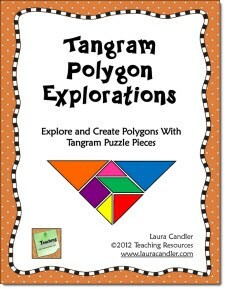 You can also find more math center activities in my TpT store. 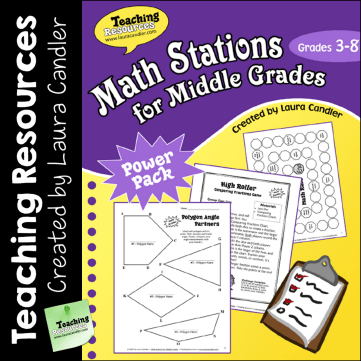 Math Stations for Middle Grades (Grades 3 – 8) makes it easy to set up and implement math centers. Preview the options below to decide which one is right for you. The non-editable PDF ebook version on the left comes with loads of low-prep, printable math games and activities. If you purchase the version with editable templates, you can customize the games to add your own math content. 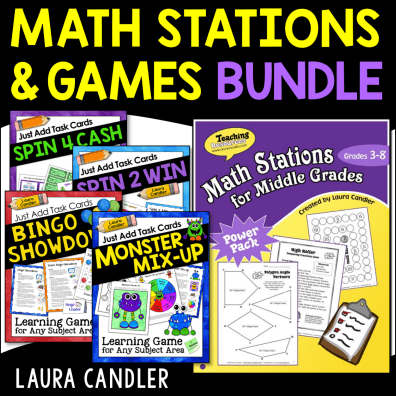 The Math Stations and Games Bundle on the left gives you additional games that you can customize by adding your own task cards. Click the product covers or links below to find them on TpT where you can preview them before purchasing. What can students do in Math Stations? Will the activity reinforce or extend a concept that’s already been introduced? Are the directions clear and easy to follow? Are materials easy to locate and accessible? Can students complete this activity independently or with minimal outside help from an adult? Will students be able to check their answers on their own using an answer key, or will someone else need to check their answers? How will students keep a record of what they’ve completed? How will students be held accountable for their work? 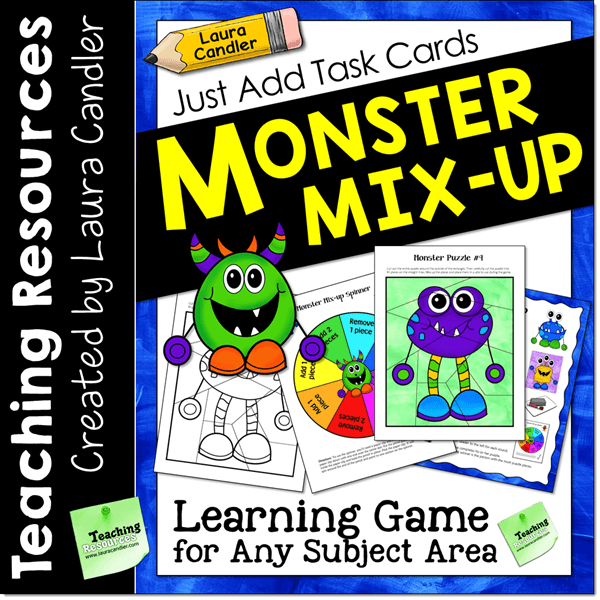 Task cards are perfect to use in math stations because they can easily turn any generic game into a skill-specific game. 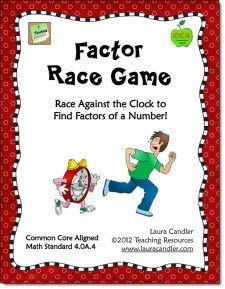 For example, the simple board game Math Race in Math Stations for Middle Grades can be adapted to any content area by adding the appropriate task cards. 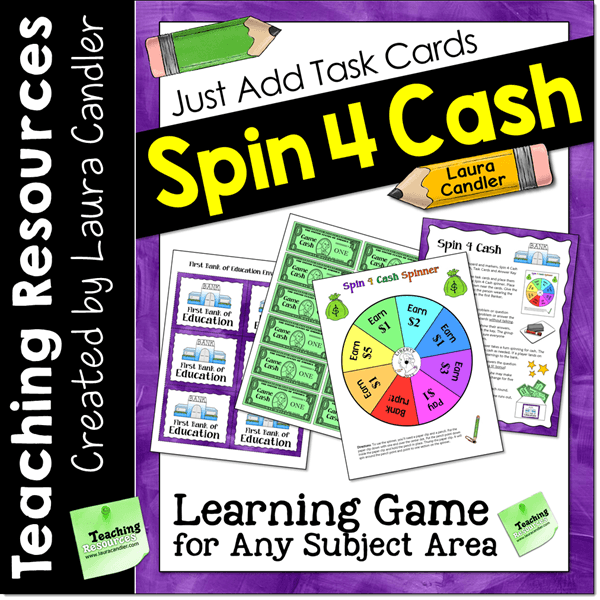 I’ve recently started creating additional task card games that are great for math centers or cooperative learning practice. 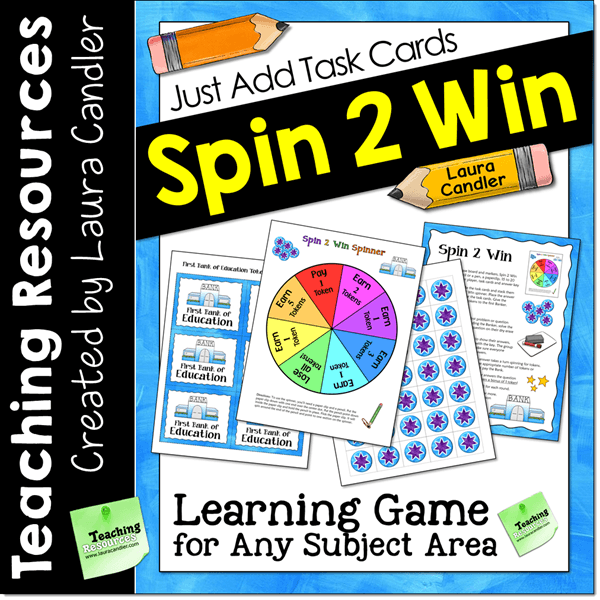 You can find them by clicking the Task Cards Games link in my TpT store or by visiting this Task Card Resources Pinterest board. 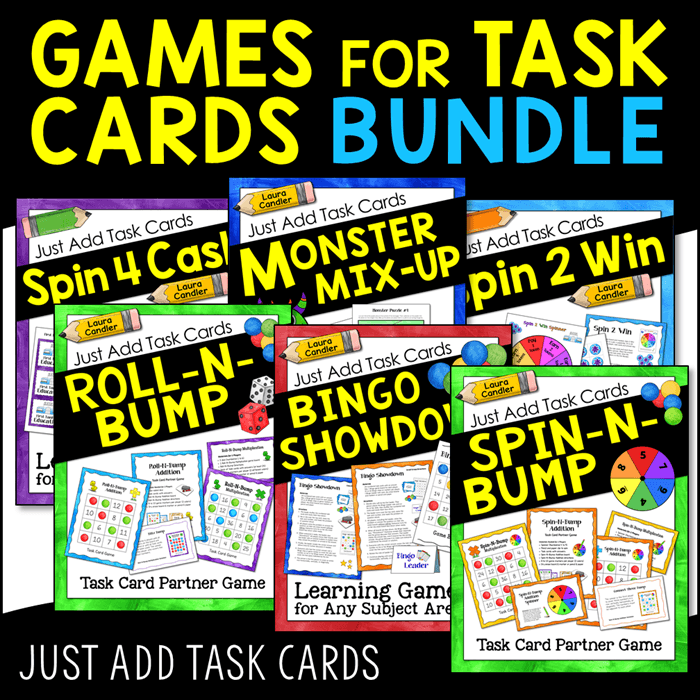 *Just add task cards to any of these games for an instant math station! 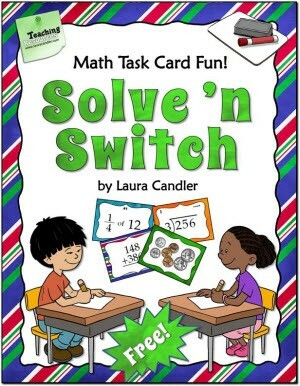 I also created a free cooperative learning activity that’s perfect for math centers called Solve ‘n Switch. In a nutshell, students seated in pairs each take a task card, solve the problem, switch task cards, solve the new problem, and then check answers. This free packet includes complete directions and several recording pages. It’s always tricky to figure out how to involve students in problem solving on a regular basis. However, math stations provide an easy way to fit in daily problem solving. They also allow you to differentiate instruction by using different levels of of problems. 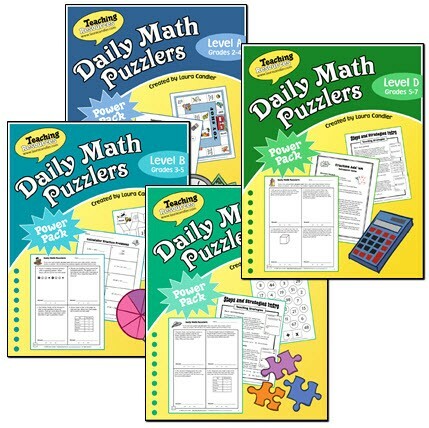 The Daily Math Puzzlers are a set of leveled problem-solving ebooks that offer a mixed problems which required students to demonstrate their work. If you haven’t successfully implemented math stations or math centers, Math Stations for Middle Grades is packed with management strategies, math games, and activities to get you started. The term “middle grades” refers to grades 2 or 3 up through middle school. 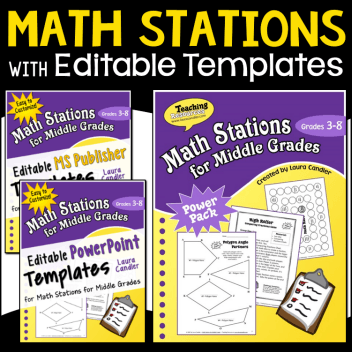 The Math Stations + Editable Templates Combo includes templates in PowerPoint and Publisher format that you can use to create your own math problem task cards if the ones in the book are not appropriate for your grade level. 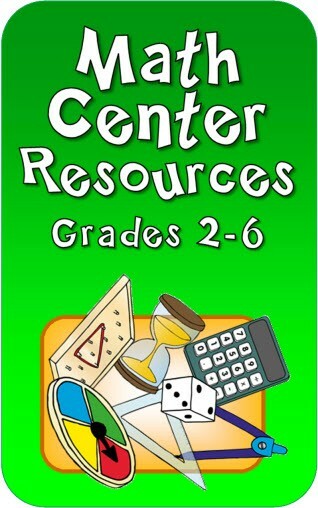 In addition, I’ve created a number of math center games that are perfect for centers. They include directions, game cards, and answer keys. Math Stations Made Easy – Webinar Style! Would you like an easy introduction to math stations? 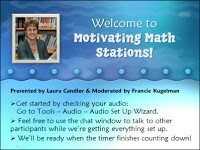 Watch the recording of the Motivating Math Stations webinar to learn loads of specific strategies, management techniques, and games to use in centers. This was a live webinar, and you can view the full webinar recording for free or purchase a “webinar pack” that includes an Mp4 video of the webinar plus additional helpful materials. Free Webinar – Full Math Stations Recording – Must be viewed online and requires an automatic download of a Java application. This webinar includes all introductory part of the webinar and the full presentation, but it does not come with the handouts that are mentioned in the webinar. Note: To jump into the main portion of the webinar, move the slider over to the time 11:30 which will eliminate the introductions. Click the image below and then download the Java application to watch it. 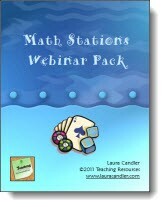 If you have trouble viewing the webinar in the format above, you can purchase the Math Stations Webinar Pack. This is the same webinar as above but it includes an Mp4 video for viewing on mobile devices, an Mp3 audio track for listening only, the handouts referenced in the session, the chat transcript, and printable presentation slides. What are some strategies for implementing Math Stations? Rotation Stations vs. Choice Stations – There are many types of stations you can set up in your room. Two types that are explained in Math Stations for Middle Grades are Rotation Stations and Choice Stations. You can set up your Math Stations so that students rotate through them as a group or allow them free choice about which stations to use. Or you can set them up as “choice” stations but assign your students particular stations that they need to complete each week before having a choice. Displaying and Storing Materials – Plastic storage carts with drawers work well for storing math center materials for long term use. Why prepare a new set of game materials every year when you can make a set and keep it for future use. However, I found a better solution for displaying Math Station materials that we are currently using . . . A simple 6-shelf organizer (see sample)! It works great as long as you don’t put heavy books and materials on the shelves. It will hold dice, calculators, activity directions, and more! 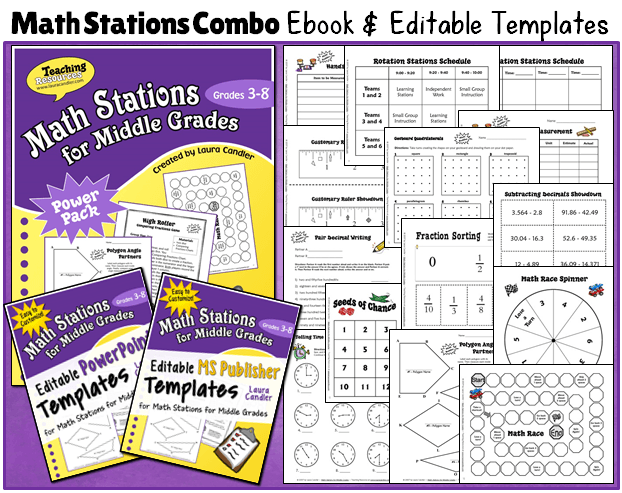 Math Station Menus – Post a menu of the Math Stations that are available in a given week. List each activity title along with the math content. 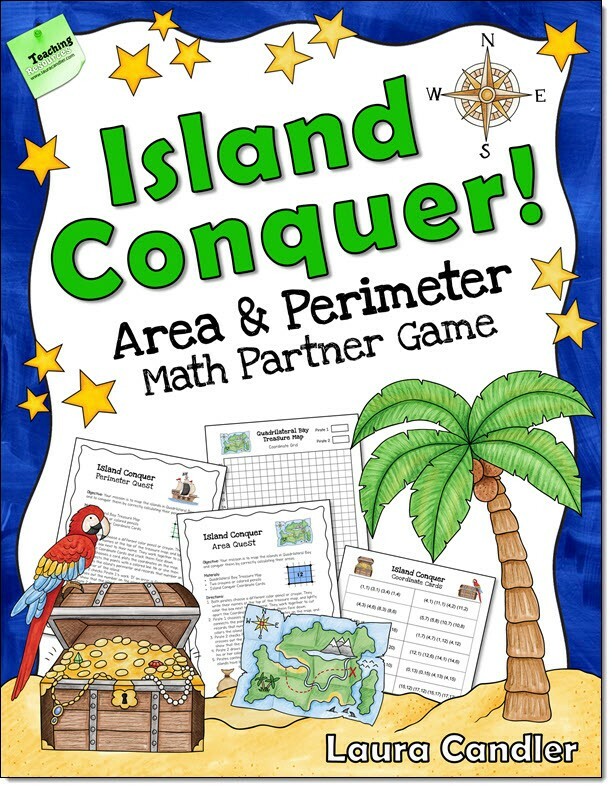 For example, I might list “Island Conquer -> Area and Perimeter” on the chart. I have a whiteboard right next to my Math Stations organizer that I use for this. Partners vs. Groups – Partner activities seem to work better than group activities because students stay more focused and on-task with one other person than as a part of a big group. If you do have group activities, make sure the directions are clear and require equal participation from all group members. The Show N Cheer strategy works well because of the high level of interdependence required. Math Buddies – You may want to assign students to a certain Math Buddy each day or each week. If you do, pair a low-performing student with an average student or an average student with a high functioning student. If you try to pair an advanced student with someone who is really struggling, they both get frustrated. Flexible Pairing – Assigning partners doesn’t always allow for the flexibility to meet with students individually or in small groups. It seems that the minute I establish Math Buddies, I need to work with one student alone which leaves someone without a partner. So sometimes I find it best to allow students to choose their own partners. Lately I’ve been requiring them to choose a new partner for every activity each week. This keeps them from sticking with their best friends and allows them to interact with others in the class. They like the element of choice.